Life raft. Before you feed a drowning canola crop, check its vitals. You want to make sure it’s on the road to recovery before laying out a fertilizer feast. 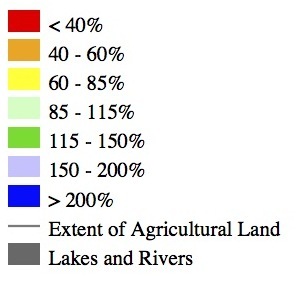 Rot risk. Moisture is the number one risk factor for sclerotinia stem rot, and most areas have moisture. Moisture in the two weeks before flowering increases apothecia emergence. To each its own. The needs of one crop can be completely different from the one right across the road. What pays for one does not necessarily pay for the other. The Bee in BMP. 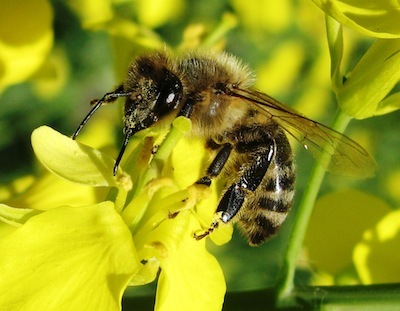 Think about your friendly neighbourhood pollinators before applying insecticide on flowering crops. You can protect both. 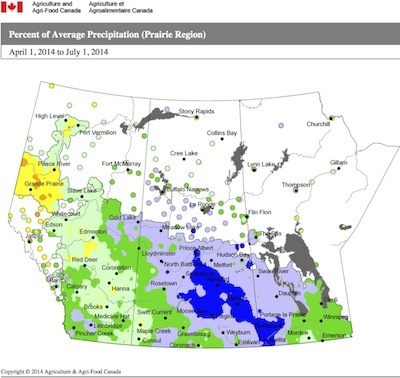 This is one of five maps for this week, showing growing season precipitation to early July for 2014, 2013 and 2012, along with maps showing sclerotinia stem rot incidence in Saskatchewan. Do you see the correlation? We have three “what is this?” type questions to test your agronomy eye. The answer key, which you’ll see after completing the quiz, provides agronomy tips to go along with each question. 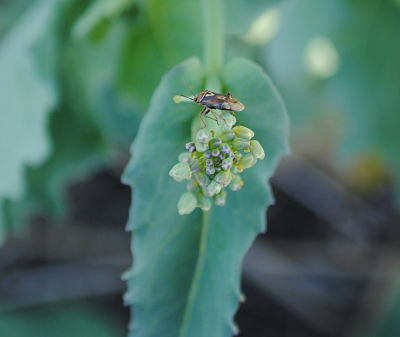 Earliest canola fields are coming into flower, and many areas of the Prairies have more than enough moisture to elevate the sclerotinia stem rot risk. 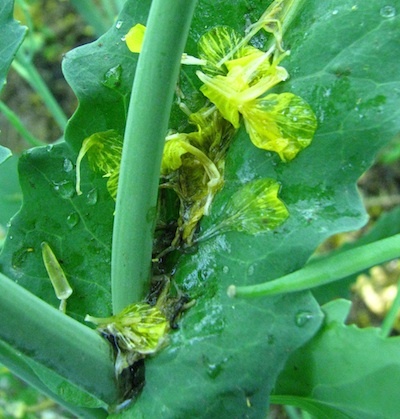 Here are key risk reminders as we head into sclerotinia stem rot management season…. 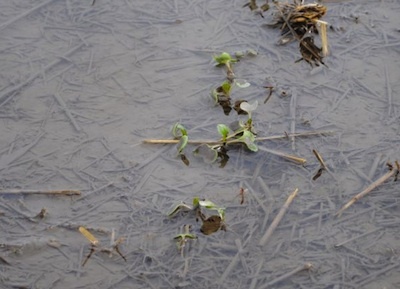 What happens to canola plants that are underwater for a few days? Here’s a detailed explanation from Murray Hartman, oilseed specialist with Alberta Agriculture and Rural Development…. 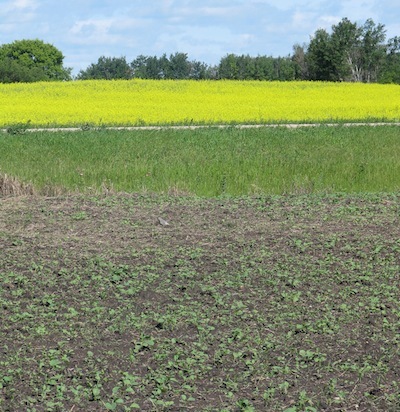 Canola crops side by side can have different risk factors, and often do not require the same crop management for nutrients, weeds, insects and disease. Crop rotation, fertilizer rates, plant population, stand uniformity and crop stage are a few factors that can influence whether one crop needs a treatment while the other right beside may not. Insecticide to control lygus present at the bud stage of canola is rarely effective or economical, and there is no threshold for this stage. 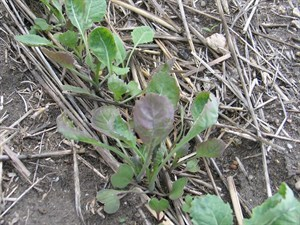 Under good growing conditions, canola can grow through this early damage without any yield loss. In fact, lygus studies show that light early feeding on healthy canola crops can actually increase flowers and pods and, ultimately, yield.